EXCLUSIVE! A small but mighty reminder that in 1920, with the passage of the 19th Amendment, American women were finally given the right to vote. 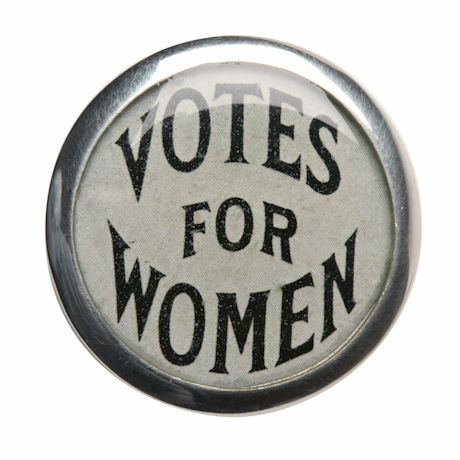 The pin replicates the pennants and signs often seen in suffrage movement marches. 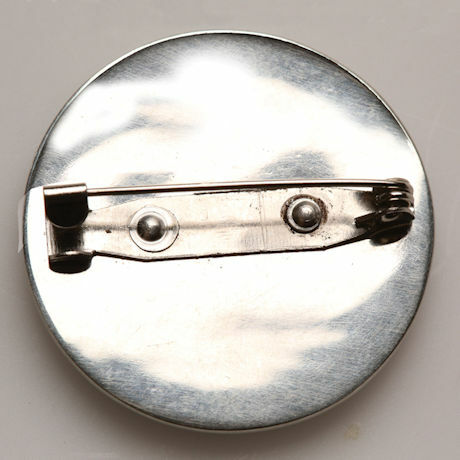 Pewter pin is 1¼" diameter.